Coastal Prep Recovery High School is designed to educate and provide services for students who are in recovery from substance use disorders. It empowers recovering adolescents by providing an educational environment that supports their recovery efforts by providing academic programs that will prepare them for college or their other future endeavors. Is Coastal Prep Right for You? We work with students who are facing their past substance abuse and/or co-occurring disorders. They must be currently enrolled in a high school – we can help with that – and committed to working toward a high school diploma. Coming from a recovery environment. 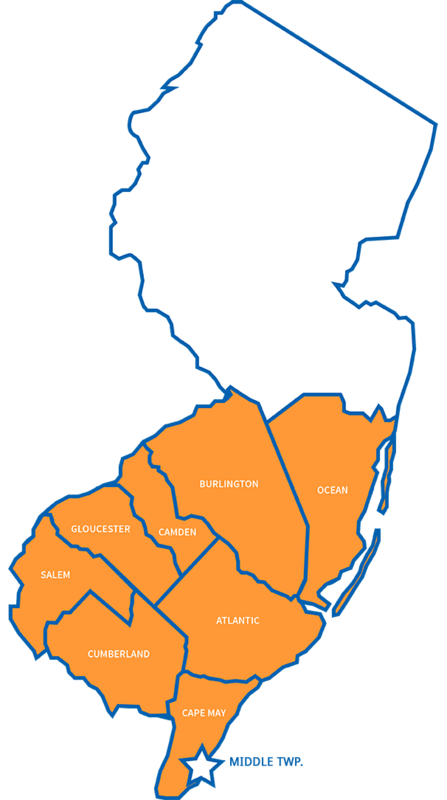 Living in Cape May, Atlantic, Cumberland, Gloucester, Salem, Camden, Burlington or parts of Ocean counties. Have parents/guardians who consent to this program and will be active participants in the process. Willing to work with Coastal Prep staff and counselors on a plan for recovery, and committed to taking part in all aspects of the program. Coastal Prep relies on a network of skilled partners to offer its blend of recovery support and educational advancement. Middle Township School District is the only New Jersey school awarded a state grant for planning this innovative and much needed program. Cape Assist adds its 35 years of experience in substance abuse prevention and treatment. Through New Jersey Virtual School, students have access to accredited, online instruction so they don’t lose ground while transitioning from abuse to recovery. We focus on Encouraging, Empowering, and Excelling. DO YOU KNOW SOMEONE IN CRISIS NOW? Coastal Prep may be your next step, but please also consider the following if you are in a crisis situation. Please consider ReachNJ for resources about prevention, treatment and support. Learn about the full range of services and programs available through New Jersey’s Children’s System of Care.